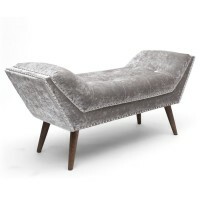 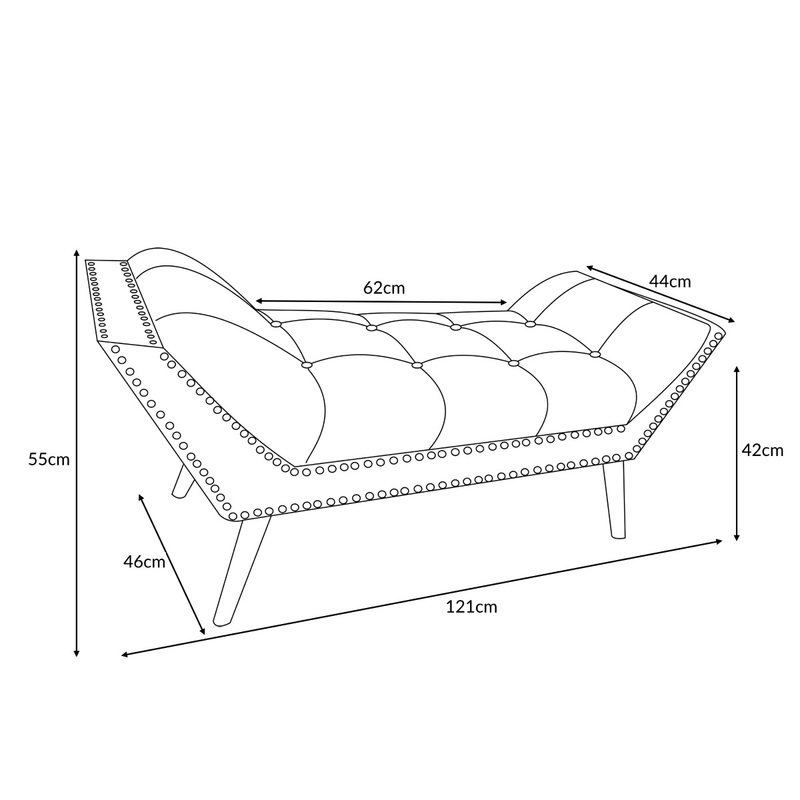 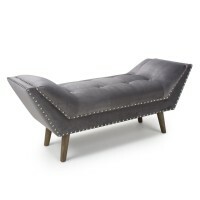 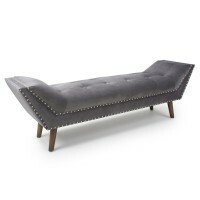 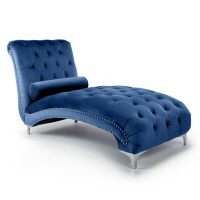 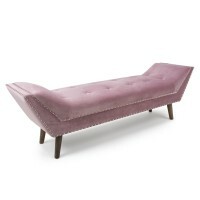 A funky chaise-style seating solution with a distinctly retro flair. 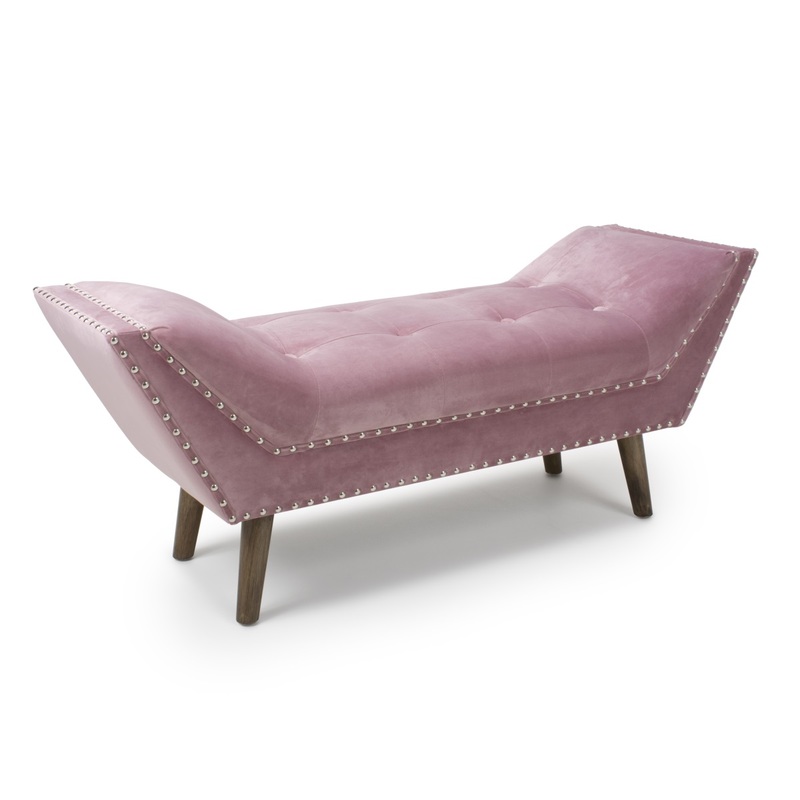 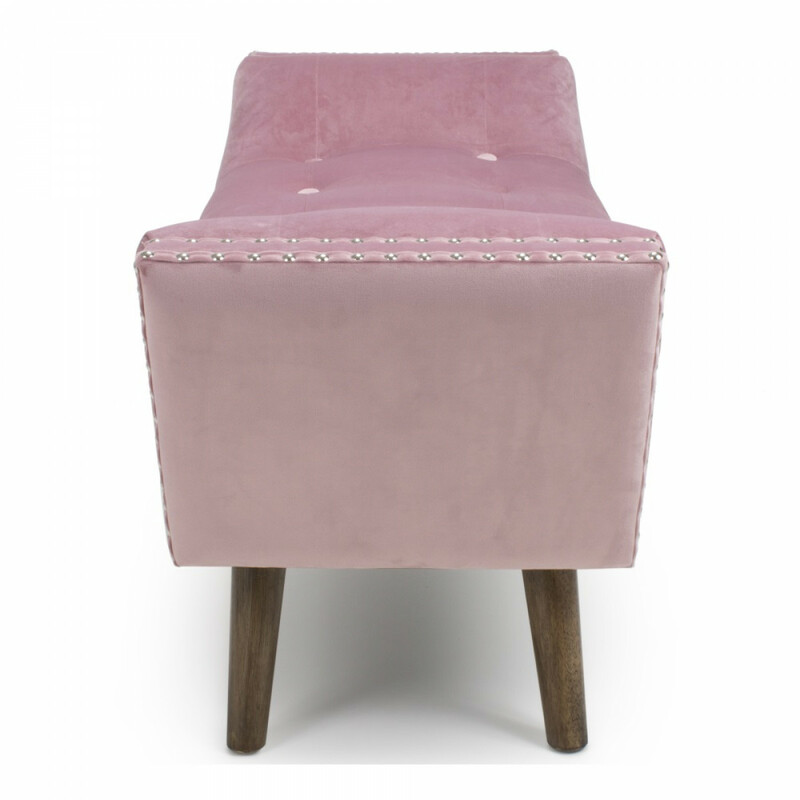 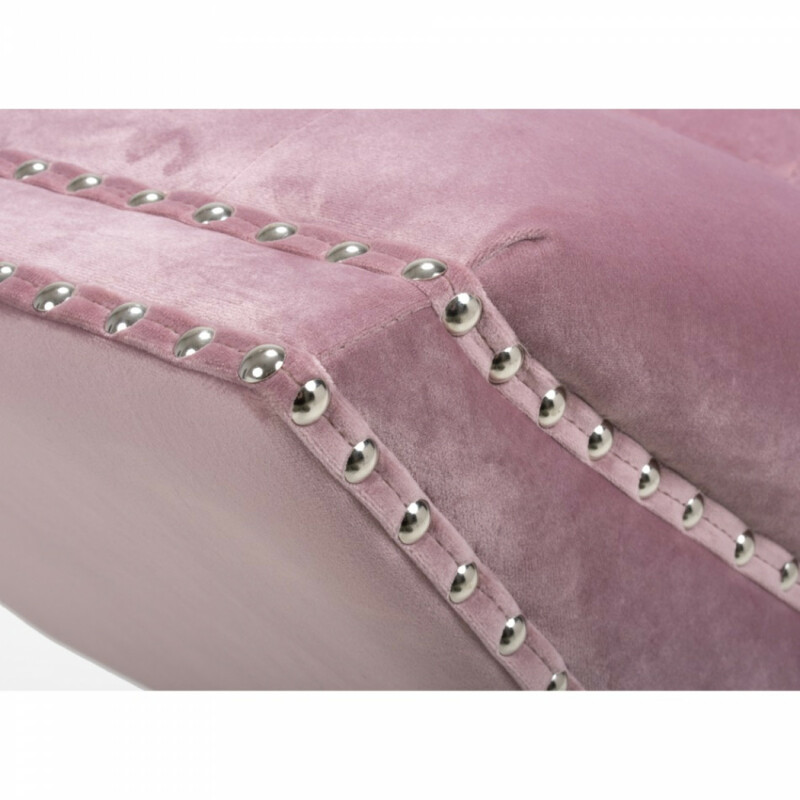 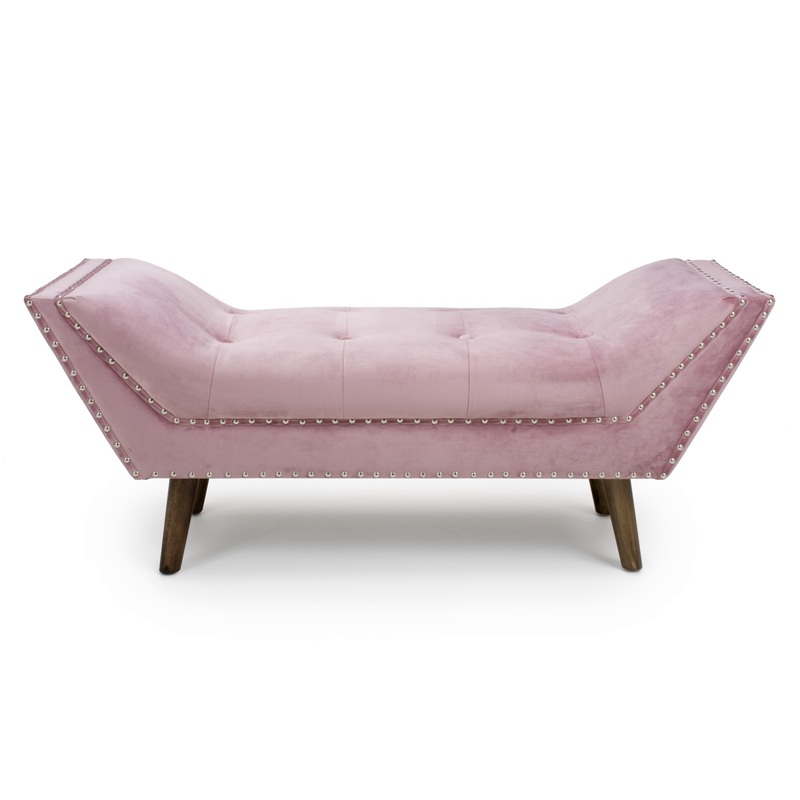 Upholstered in a lush pink blush coloured brushed velvet fabric and accentuated with contemporary vintage studs. 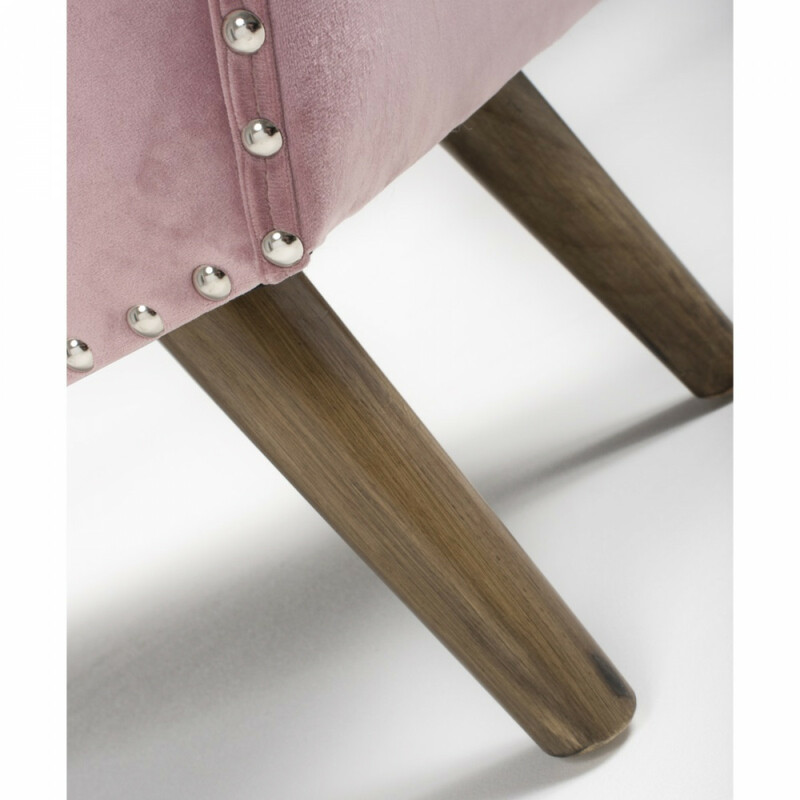 Attractive rubberwood legs in a washed finish. 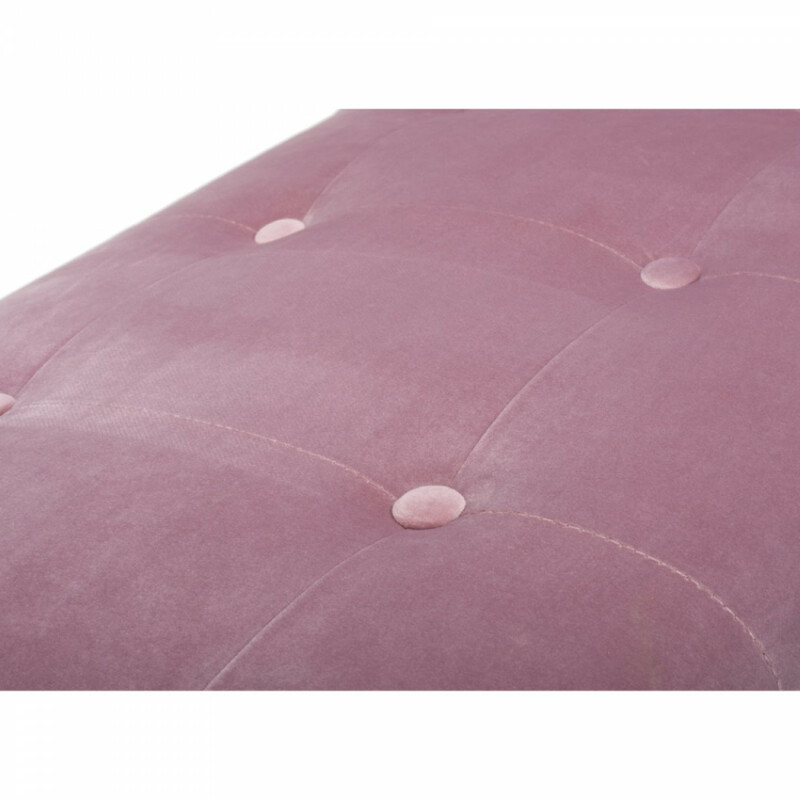 Seat is sprung and banded for additional comfort and support.